Several stars gave their time over Christmas to visit troops stationed overseas, despite the bad weather that grounded many aircraft. 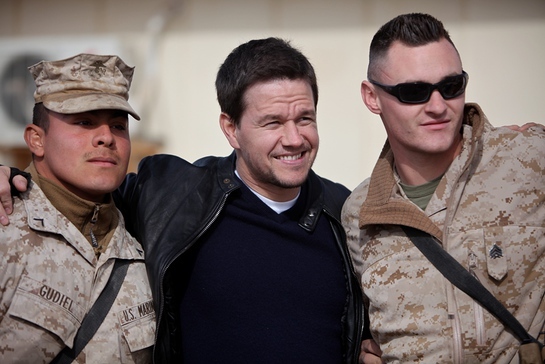 Mark Wahlberg took time out to visit US troops stationed in Afghanistan, to boost the morale of soldiers separated from their families over the festive season. Marines with 1st Marine Logistics Group (Forward) take a photo with actor Mark Wahlberg during Wahlberg's visit of 1st Marine Logistics Group (Forward) at Camp Leatherneck, Afghanistan, Dec. 19. The actor met with over 100 marines from the 1st Marine Logistics Group (Forward) at Camp Leatherneck on December 19. “It’s the least I can do to thank you for what you do,” Wahlberg told the troops. Other stars due to visit troops in Afghanistan were ex-soldier James Blunt and opera sweetheart Katherine Jenkins. Although the trip was canceled due to the atrocious weather that closed airports around Europe, the pair still managed to entertain soldiers in a plane stuck on the runway. 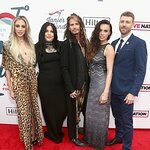 The snow didn’t stop a host of celebrities sending messages of support to troops via a special Christmas Day radio broadcast, however. Kylie Minogue, Jeremy Clarkson, Liam Neeson and Ricky Gervais all recorded messages for soldiers and their families at the time of year when they need our support. The broadcast was made by the BBC.